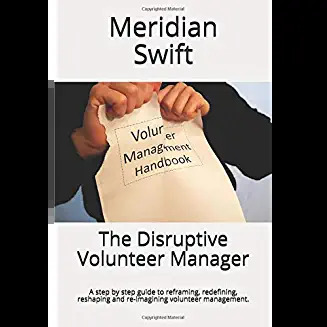 So You Want to Be a Volunteer Manager? You are in the midst of job hunting. You figure that if you’re going to go to work, you probably want a job where you make a difference. You imagine that you want to work for a non-profit because really nice people work there and in between patting each other on the back they play with puppies, while sipping salted caramel lattes, right? You apply and have an interview scheduled. And you want to know what questions will be asked and how to answer them. Well, my friend, you’ve come to the right place. I want to help you get that job. Below you will find some sample interview questions (Q). After each question is a detailed explanation of what that question is really about, followed by the answer (A) you should give. I personally guarantee if you follow this guide, you’ll ace that interview. Q: Do you believe in our mission? A: I believe in unicorns, fairy dust and most importantly, blindly following directions. Mainly, I’ll believe anything you tell me to believe. Q: How do you feel about directing people who are older than you? Fair question, but more than likely, the interviewer has no idea how old the volunteers are, or even how many there are or what they really do. This perception is actually from something the interviewer heard from another non-profit administrator who knows a CEO who knows a fundraiser who went to a conference ten years ago where she met a volunteer manager who happened to bring her grandmother with her. A: I work well with everyone, especially people who love to do menial tasks and are really good at blindly following directions. Kinda like me. Q: Are you good at multi-tasking? A: I once cut out all the silver cardboard stars, gosh, hundreds of them for my high school prom and attached each one individually to the overhead streamers while consoling Jaime Green who was crying about her breakup with Hugo Carreras. I didn’t drop one star, not one. And besides, (you wink here) I make a mean cup of Earl Grey. Q: How do you feel about working occasional weekends and holidays? Ok, listen carefully. This is code for every time we forget to ask for volunteer involvement and then remember at the last-minute, we expect you to either a) stay extra late and get volunteers or b) do the job yourself. Q: Can you plan and work with a budget? Hahahahahahahahahahahahahaha. Sorry. Just so you know, there will be no budget. A: I steal internet access from my neighbor. Q: What is your concept of team? Ok, this is one of those mumbo jumbo psychology type questions they have to ask. They got it from one of their philosophy of management courses where they had to read such books as “The Theory of Employee Motivation in Two Words” and “Workroom Break-time, a Descent Into Anarchy.” So, the only way to answer one of these questions is to out-abstract the abstract. Be careful here. This question is meant to flesh out the overly ambitious candidate. 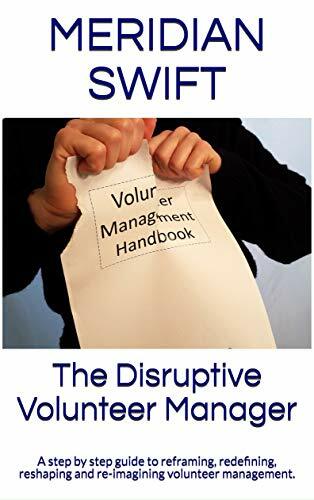 Once you become the volunteer manager, it will be hard for them to see you as anything else, aka, anything more. It’s kind of like thinking of your Mom dating. You know what I mean. EWWWWWW. A: I see myself as a productive member who supports the mission. And, if I may be so bold, someone who is a bit of a risk taker, like maybe serving Chamomile instead of Earl Grey or using glitter pens instead of scented markers. Well, there you have it. Be confident that if you reply to these questions with the foolproof answers above, you will definitely be offered the job. Hi Tracy! Sometimes I find absurdity the way to cope with challenges. Doesn’t mean giving up though. We can change these perceptions, it’s just going to take some effort. Thank you for weighing in, I appreciate it!